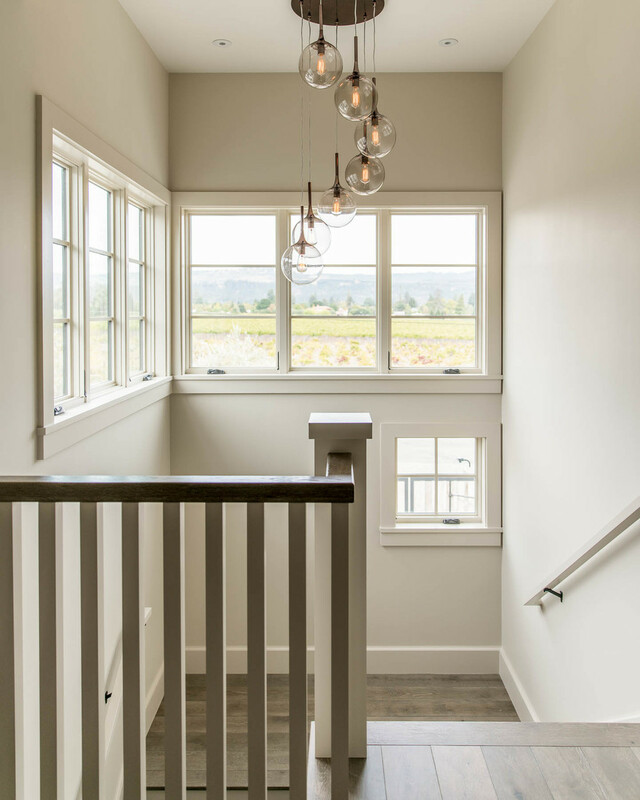 Situated in a picturesque clearing in a quintessential Napa location, this setting has vineyards out both front and back doors. This location is unique in Napa for its grove of redwoods and its dramatic backdrop hillside of Douglas fir trees. 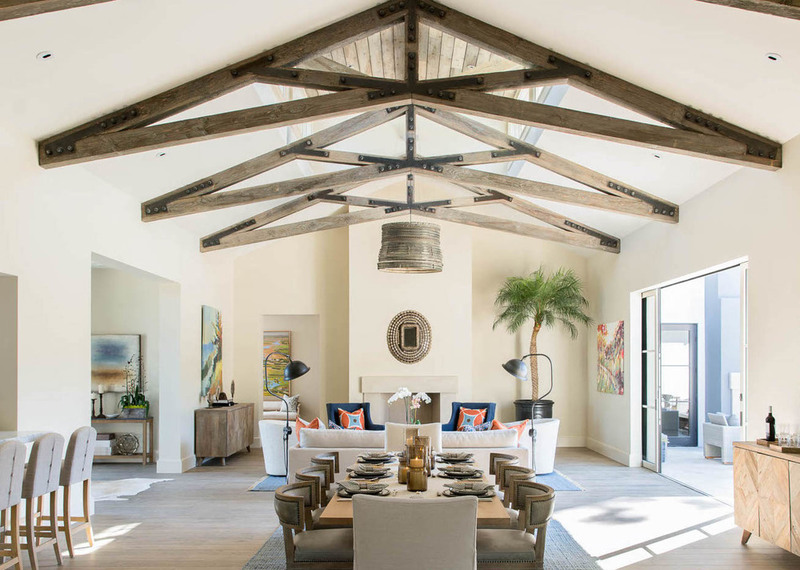 This influences the language of the house toward heavy timber, and thick plaster walls featuring custom carpentry elements of an open truss great room. 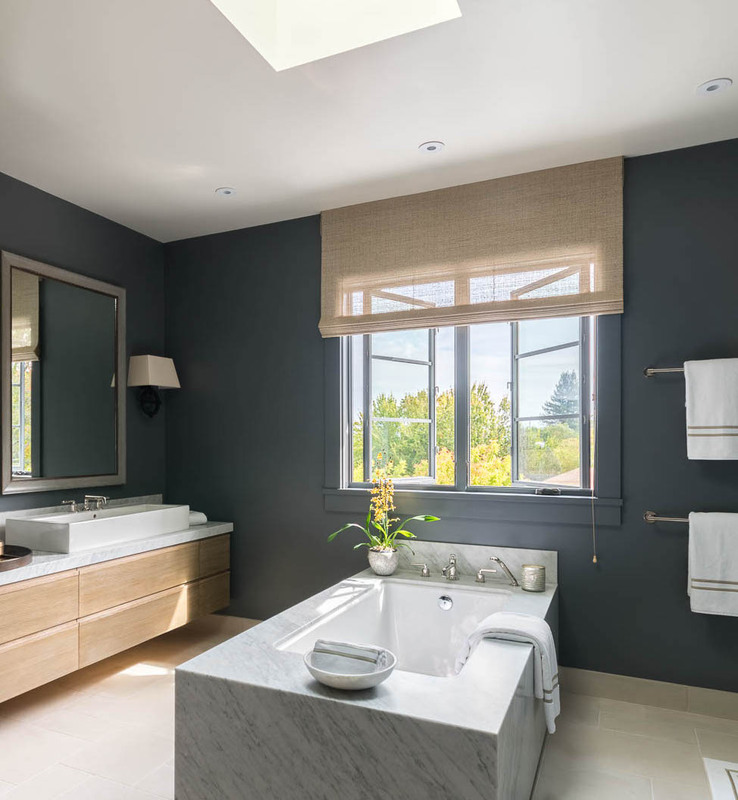 The second-story master suite, with its rooftop balcony, is screened by the redwood grove, creating a breathtaking private view of the hills beyond. The house was designed by Holder Design in collaboration with Summit Professional Builders and Rhyne Designs Landscape.